People may say that Pixar's foray into sequels (and in this case a prequel) is not a good thing. But who could ever doubt a juggernaut company such as Pixar. Just look at "Toy Story 3" and you could definitely say they know what they are doing with their properties. Oh, but there's also "Cars 2" that was rather disappointing. "Monsters University" falls in between honestly. It was never bad but it never turns out to be great. The "play-it-safe" formula works this time but we do miss the creative surprises and the emotional gasps we usually expect and do get from a Disney-Pixar film. Mike Wazowski (Billy Crystal) and James P. Sullivan or Sully (John Goodman) are an inseparable pair in the first film but that was not always the case. In fact, from the moment these two mismatched monsters met, they couldn't stand each other. Sully is the brash son of a famous scarer who thinks that scaring is a natural talent and no school or lesson could ever teach that. Mike on the other hand believes that if he gets top honors in his grades, he is on his way to become one of the best scarers ever. Problem is, he is not scary at all. When the two fight and get themselves into trouble with Dean Hardscrabble (Helen Mirren), they find themselves expelled from the school of scaring. Mike, ever resourceful, finds a way to wager with the dean. If his team, the Oozma Kappa fraternity, win the Scare Games, the dean must bring him and his team back into the school. 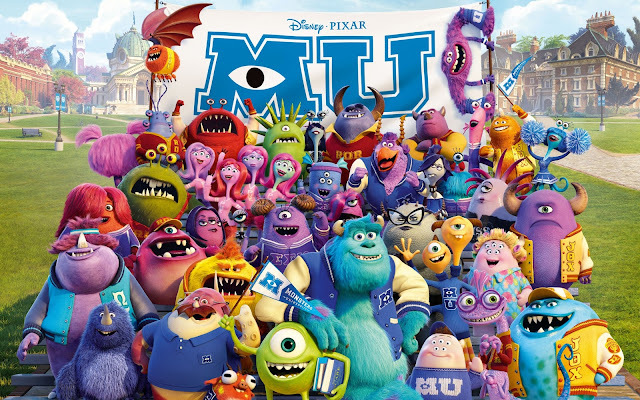 But if they lose, Mike will leave Monsters University for good. This is easier said than done considering the fraternity is made up of a rag-tag group of monsters who were never considered as scarers: well, except for Sully. Mike and Sully must find a way to overcome their differences and help their fraternity win the games or else they may never become scarers again. If we could choose one asset that would define "Monsters University" it would be the undeniable chemistry of Mike and Sully. Once again, Billy Crystal and John Goodman bring a pairing that makes the movie extremely funny and extremely enjoyable. They definitely brought forth much needed life into a film that was lacking in the creativity and emotional department: two things that usually separate a Pixar film from others. Surprisingly, the plot turned out interesting (given how we know what the eventual turn out will be). There were a lot of surprises especially during the Scare Games portion. But on some end, it also felt a little too safe. While the narrative was good enough, the characters and their development took a back seat. The CGI on the other hand was top-notch. Monsters look astounding and the backdrops even more. This feels like a living, breathing world - amazing considering we are dealing with cartoonish monsters here. 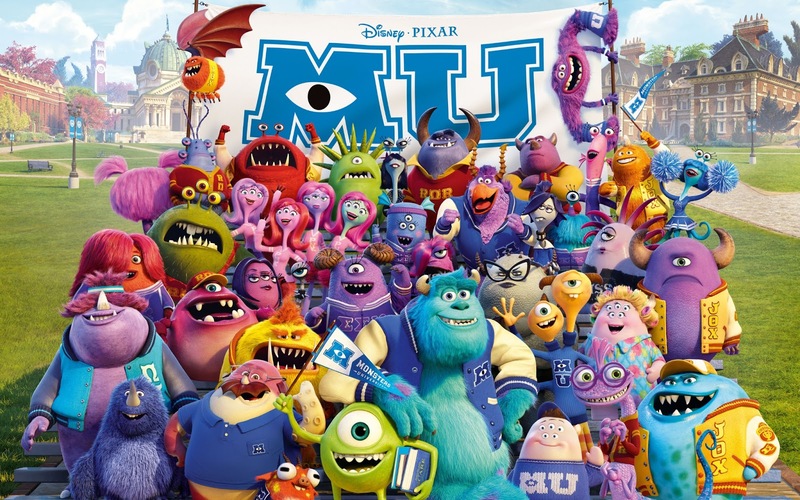 In the end, "Monsters University" may lack its predecessors impact but it is still a quality film from Disney-Pixar although this is definitely far from their best effort.